Noviembre extra virgin olive oil is made from our own olives. 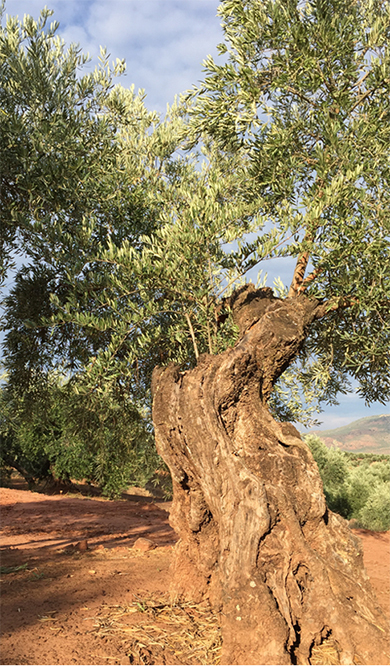 The passion for obtaining the best extra virgin olive oil leads us to select century-old olive trees from our mountain olive groves, as these are the earliest when it comes to harvest times, harvesting in the early hours of dawn when the temperature is cooler. Our olives are pressed immediately after harvesting, maintaining cooler temperatures thanks to optimal conditions for their storage and transportation to the press. 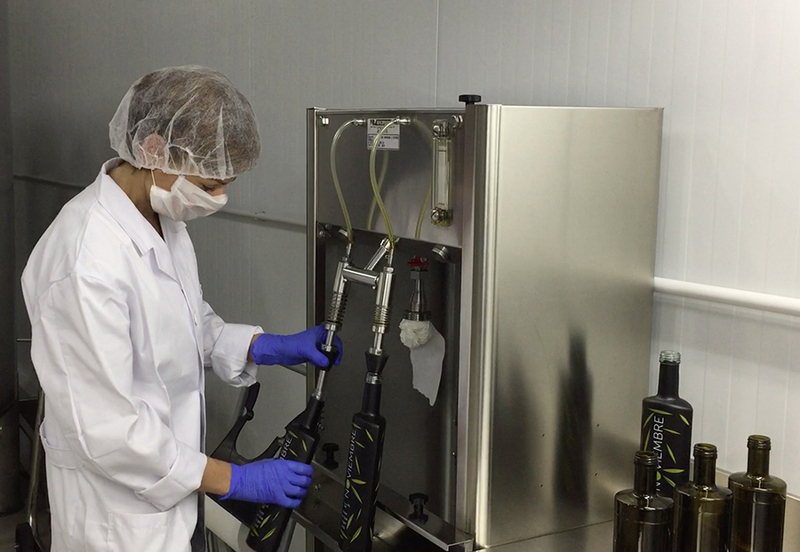 In the press, the mill master inspects the selected batches of olives to check that they are in perfect condition and gives the green light for the processing of the best batches. Our century-old olive trees, which are planted at altitude, offer a lower yield when it comes to harvest time, but they make up for that by producing extra virgin olive oils whose exceptional quality sets us apart from the rest. Since 1878, four generations of the Finca Las Manillas family have managed to maintain the traditions used in the production of exceptional quality EVOO, without forgetting to adapt to new technologies, strive for excellence in the product sold to our customers and respect the environment. We benefit from the wisdom of the mill master who is following in the footsteps of his father, our former miller, bringing all his experience to the process, from the harvesting of the olives that have fallen onto the nets through to the cold extraction, with a small but modern new extraction facility and packaging plant. These factors ensure that our limited production of EVOO is exceptional. The limestone and clay composition of our soil, the planting of our olive grove at altitude, the extreme agroclimatic conditions, the century-old olive grove, the picual variety together with early harvesting, the olives falling from the trees from mid-October to the beginning of November, their immediately pressing after harvesting, and the delicate churning and cold extraction process are all part of our carefully designed process. The harvesting is planned down to the last detail, using the technique of ultrasonic vibration in the trunk and completing the process with a traditional manual pole, ensuring that the olive trees suffer the least possible damage. The fruit is collected after it falls from the tree onto the nets, preventing it from ever touching the ground. After just a few hours the freshly harvested olives arrive at our press. 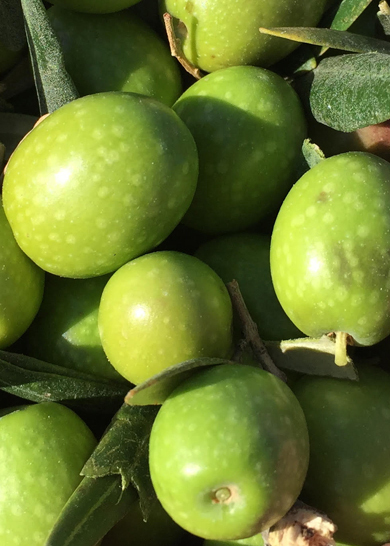 After the first inspection of the fruit, where we check that it looks good and healthy, we clean the olives, separating the leaves and branches using pressurised air. The olives are then washed and placed into the storage hopper. From here the olives undergo the pressing process and a very short churning time, during which they will not be at a temperature above 20°C. This phase of the process is critical, as it is here that we are going to ensure that all the volatile elements responsible for the nuances and attributes of our oil are preserved to the greatest possible extent. Next we have the centrifugation, separating the solids from the liquids as a result of their different densities. Finally, we move on to a vertical centrifuge in which the oil is separated from the water. 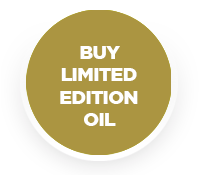 We then carry out the tasting, classification and storage of each oil in different inert stainless steel tanks in our temperature controlled warehouse, guaranteeing its optimal conservation.